Today was the last day we had with the convict built trails (seriously, they use minimum security prison labour) so we figured it was best to head out the back of the park again and hit a few trails we didn't get to the other day. The long drag up Hill Road was a little better as I wasn't trying to chase down Brett (it was back to just Gav, Cam, Trent and I). 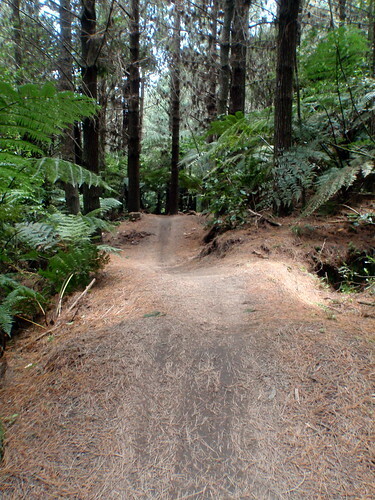 It was also a bit easier as we branched off to Tawa Rd and headed to the start of Billy T.
Rooty and slightly rutted, my bike was never far from (and often beyond) the edge of control. I think some uncharacteristic anger (never mind why) was the perfect attitude. A great reminder that really aggressive riding is not only faster, but sometimes safer. 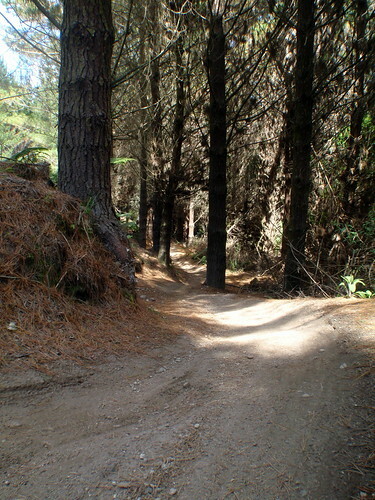 A climb back up Tawa Rd got us to Huckleberry Hound, a trail filled with kicky doubles and a heap of elevation loss. The two combined to send me airborne far more often than i would ever dream myself comfortable with, but the great run outs to every one meant there was never much real danger of severe impairment or death. Not a single one of the guys complained when at the bottom I suggested we stop for a second so I could grab a few photos. Incredibly, but taxing. The next trail was one we were here specifically to do. Corners. 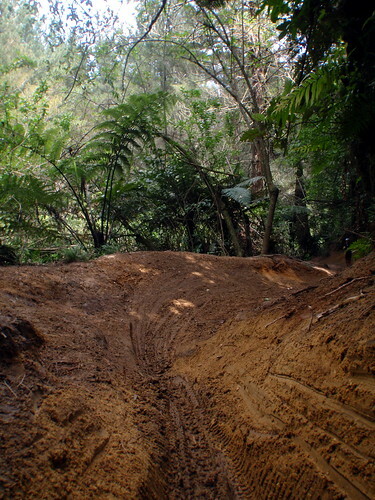 It's name almost tells you everything you need to know, though I think it should be called "Bermed Corners" as layed out for your riding pleasure is something like 36 of the sweetest bits of dirt you could imagine. A return to both Dragons Tail and Exit Trail turned out to be a great decision. Our bodies were in better knick to attack them and appreciate how wickedly fun they were. Down Exit Trail I had Trent up my clacker at the start, so I made it my job in life to drop him and his 4" dually. The almost cramping pain in my calves as we ripped down the last hundred or so metres in elevation to the visitor centre was worth it to see that I had in fact opened up a gap.